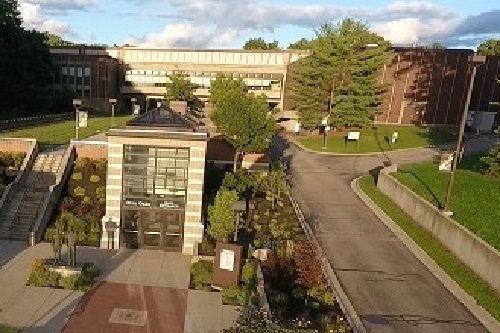 Before departing from office, Michigan Governor Rick Snyder signed a supplemental appropriations bill, approved by the legislature, which included $3,475,000 in capital outlay funding for Glen Oaks Community College. The funding requires a 50/50 institution match. “This is great news that will enable us to begin planning for all the pieces of work we will be doing,” said Glen Oaks President David Devier. “We received $1.5 million earlier to use toward this project so our match is actually $2 million. “Many thanks to a number of legislators for their support, and in particular, Aaron Miller, District 59 Representative, as he was a key driver in moving this along,” said Devier. “I can’t convey properly how happy I am that this is finally getting done,” said Miller. “Glen Oaks has been last at the bowl for years when it comes to state grants through the joint capital outlay process, a set of somewhat irregular appropriations of state dollars meant primarily to assist in projects at public universities and community colleges. Each year the state requires Michigan colleges and universities to submit a five-year capital outlay plan which identifies priority projects. The funding is based on a 50/50 state, institution match.